This is an easy DIY project perfect for keeping hands warm or ease the pain of boos boos. It is a great non-candy option for Valentine’s Day. 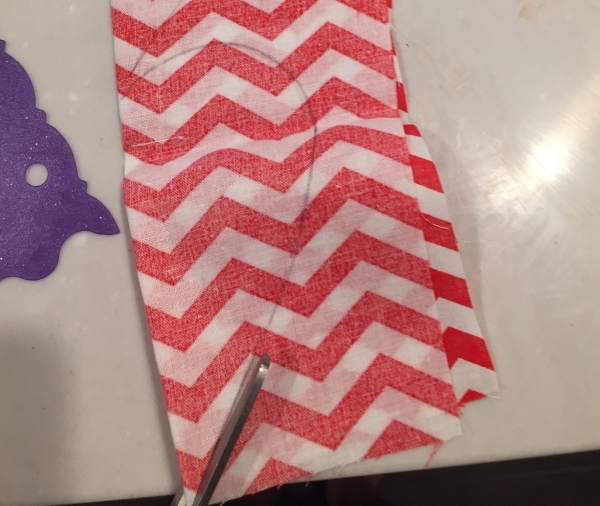 Step 1 – Take your fabric and fold it in half so the raw side is out and pattern side in. Draw half of a heart about 7 – 8 inches wide with a pencil or use a stencil on the fold. 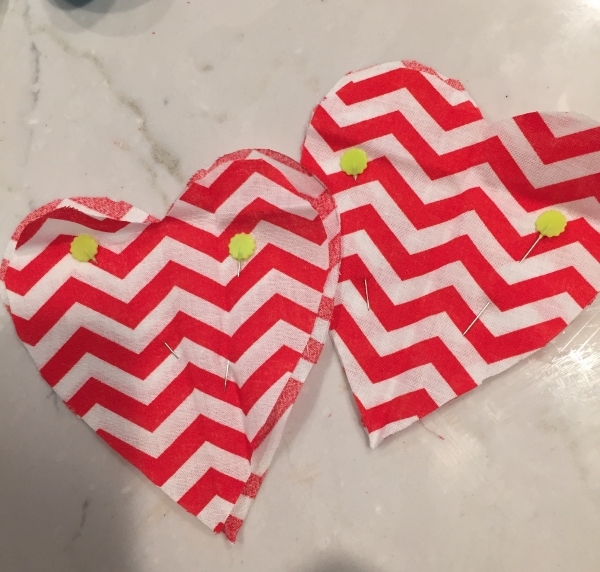 Step 2 – Cut your heart halves out and unfold. 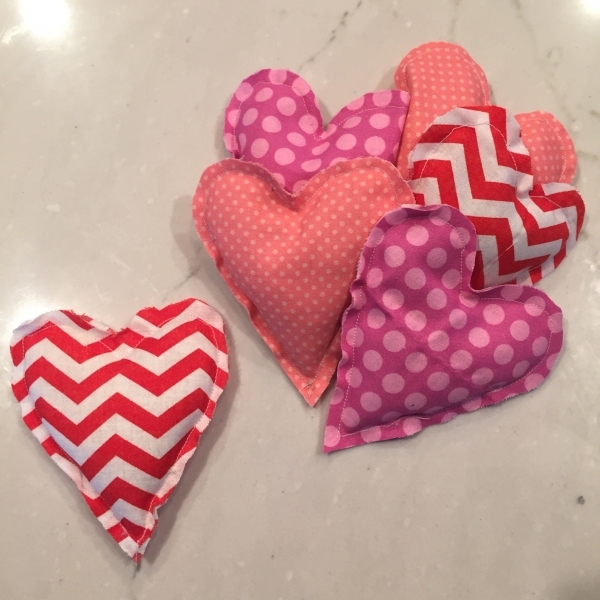 Then, align the hearts together before you start sewing or pin together in the center. 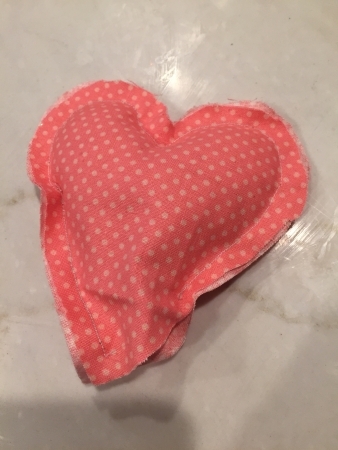 Step 3 – Sew the hearts together and leave about an inch or two of an opening to add the rice. 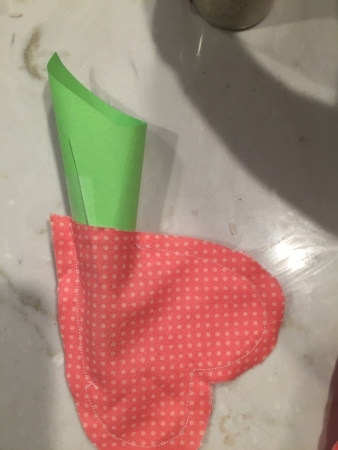 Then, create a funnel with your cardstock that will fit in the opening you left unsewn. 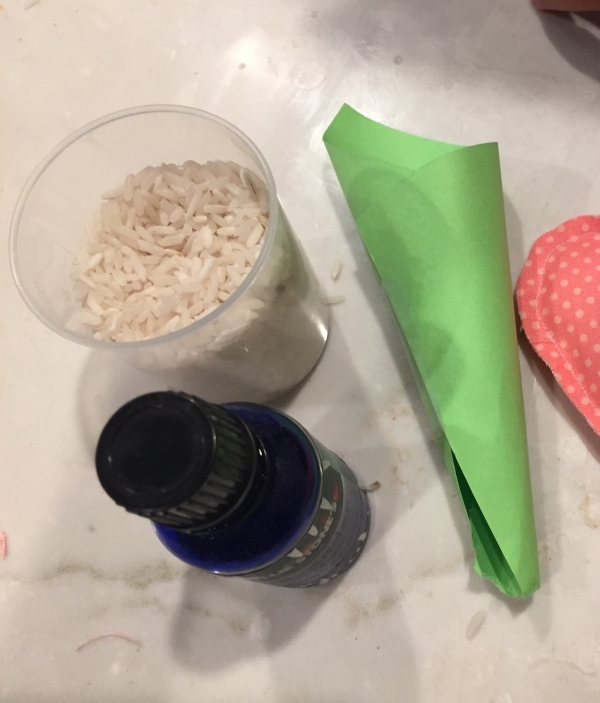 Step 4 – Transfer some rice into a small cup and add one to two drops of essential oil. Lavender works really well! 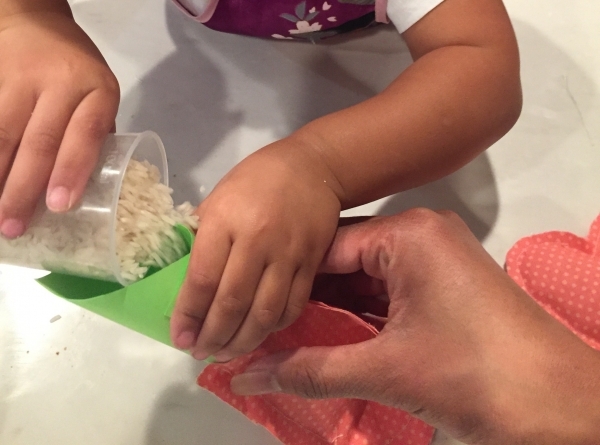 Cover the cup with one hand and shake the rice to coat the grains with the oil. 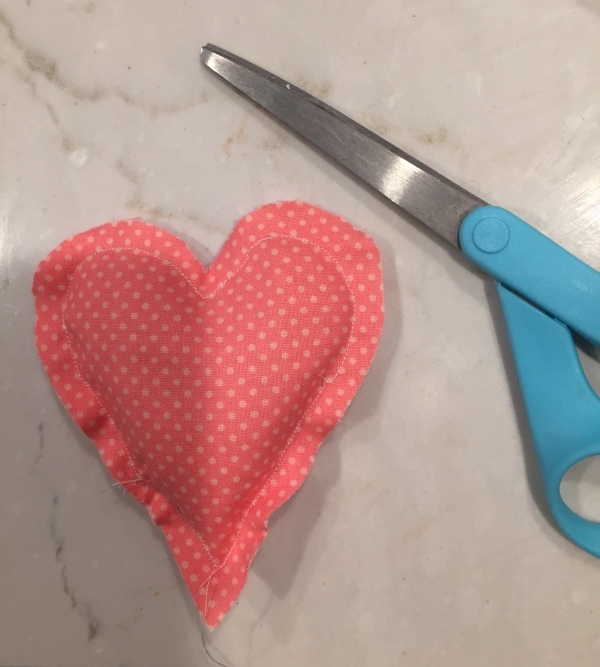 Step 5 – Use the handmade funnel to put the rice inside the heart and be sure not to fill it up all the way so you can stitch it up. Step 6 – Finally, sew the opening together and cut the heart’s border to your liking and you’re done!